The first document that mentions the Mir family of Can Guineu, in Sant Sadurni de Noya, is an official deed signed by the Notary Public Esteve Soley in Barcelona on 30 September 1474. The document grants Guillem Mir, peasant-farmer, a house, a flour mill and fields, vineyards and woodland in the Vilarnau district, within the territory of Subirats castle and the parish of Sant Sadurní de Subirats, all ceded by the owner, Isabel de Vilafranca (daughter of the Squire of l´Arboç, Pere Lluis de Vilafranca), wife of Squire Galcerá of Vilarnau, last of the Squires of Vilarnau. This meant that Guillem Mir became a vassal, entering into a feudal relationship with the lords of Vilarnau to whom he had to pay homage and swear an oath of fealty. On the feast of Saint Michael each year he had to pay an annual ground rent comprising an amount in cash, one tenth of his grape and wheat harvest, one chicken, one piglet, one lamb, one goat and various cheeses, as well as half a tithe of his beans and other vegetables. He also had to pay a further cash amount in benefit of Santa Maria de Vilarnau. 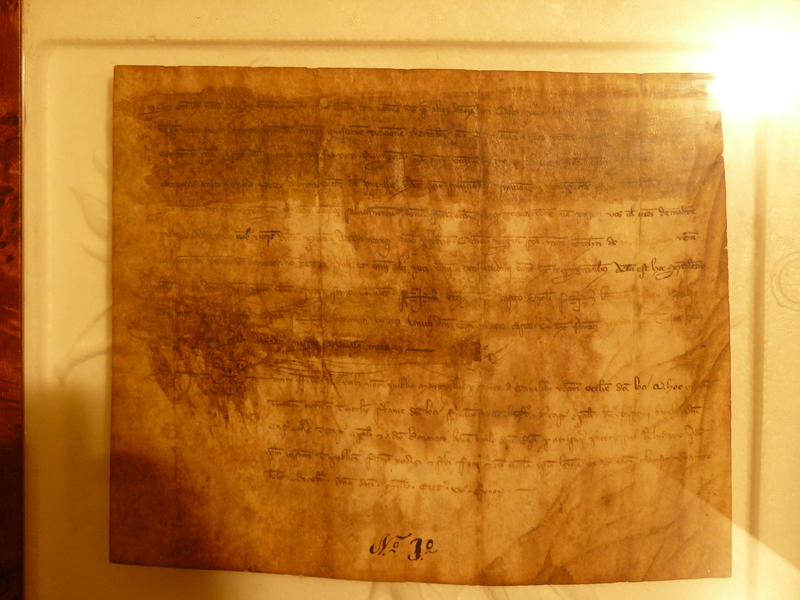 This document, which was drawn up two years after the end of the civil war which lasted from 1462 to 1472 and which left the Principality badly damaged and impoverished, records the decision of the Squires of Vilarnau, who had been greatly affected by the events of the day, to grant Barcelona peasant-farmer Guillem Mir, the first of the Mirs of Can Guineu, the status of vassal. To trace the link between Guillem Mir and Lluch Mir, who died in 1606 and who is the first of the Mirs of Can Guineu to be properly documented in the family archive, we have to go back to the censuses of 1497, 1515 and 1553. The census of 1497 for the parish of Sant Sadurní de Subirats mentions Guillem Mir and Juan Mir, probably his son. In a ledger containing a variety of entries in the parish archive of Sant Sadurni, it is recorded that in 1524 Juan Mir de Vilarnau fathered a son who was given the name Juan. 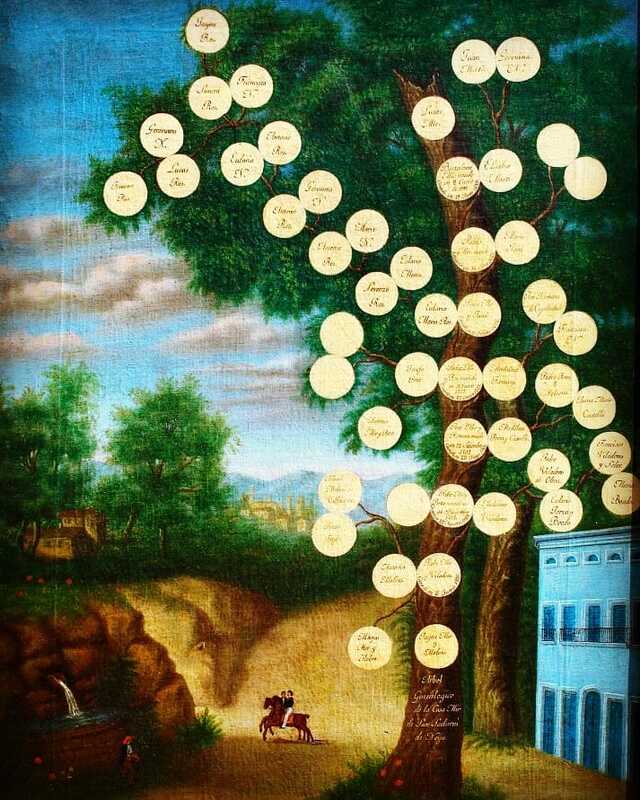 In 1524 the same Juan Mir baptised another son named Antoni Benet, and the son born in 1524 must have died by 1526, as he then had another son who was also baptised Juan. The entry also records that he was a miller. This Juan Mir de Vilarnau, born in 1526, is mentioned in the census of 1553 as a miller, married to Violant who died in 1571. Their marriage resulted in several children, the heir being Lluch Mir, who died in 1606, having been married first to Elisabet and then to Jerónima Ferrer. He had two children with Elisabet, Joan and Paula, and another two with Jerónima, Joana and Bartomeu. The heir, Bartomeu Mir i Ferrer was born in 1587 and married Elisabet Martí, from Can Martí de la Torrevella in Gelida. He became estate manager to the noblewoman Isabel of Argençola, who owned a number of properties around the town of Sant Sadurní. From this point on the tale becomes well known and extensively documented. The heir to Bartomeu was Pau Mir i Martí (1619-1707), who married Maria Janer. He lived to the age of eighty-eight, during which time he bought a series of properties that had belonged to Galcerá Ferrer, Baltasar Agustí and Miquel Raventós, as well as to Anton Tarrassa and the administrators of Santa Creu Hospital in Barcelona, located in the Carrer de l´Hospital in Sant Sadurni. His son and heir was Pere Mir i Janer (1677-1725), who married Eulàlia Ros Mestre, heiress of Can Ros of Subirats. Then came Pere Mir i Ros (1701-1787), who was first married to Magdalena Romaní and subsequently to Josepa Petit. He demolished the houses in the Carrer de l´Hospital in order to build a single large house, entered through a flattened arch with the date 1776 and the initials MR (Mir i Ros) engraved inside an ornamental fringe on the keystone. Next in line was his son, Josep Mir i Romaní (1732-1780), who married Magdalena Porta, and he was followed by Pere Mir i Porta (1762-1834), who married first Magdalena Viladoms and then Caterina Sagristá. 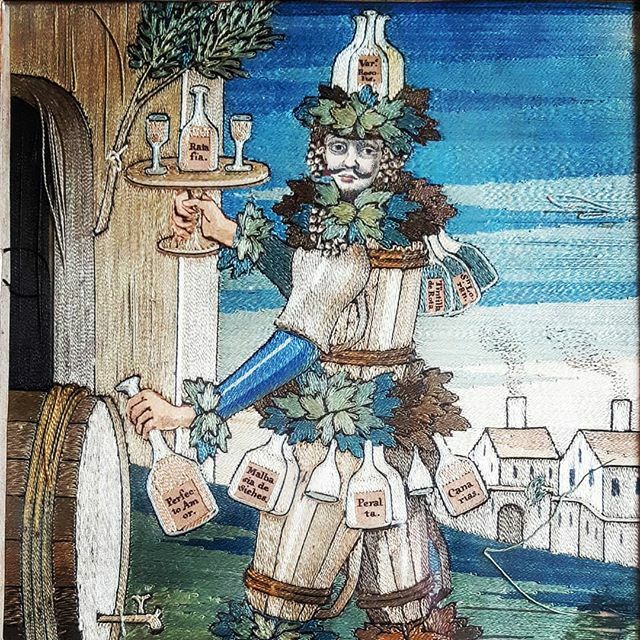 Pere Mir drove the business forward, installing a large wine distilling apparatus in 1814 followed by another in 1821, which was used to make liquor and was impressive enough to draw considerable attention from the press of the day. Pere Mir i Porta was a lay member of the Holy Office for the parish of Sant Sadurní, forming part of the Court of the Inquisition and was highly active, particularly during the Napoleonic wars. It seems that his shrewdness in business and the events of the day led to him being called “the Fox”, a name that was taken on by the family seat, which was unusual for a wealthy family like the Mirs, as their houses usually reflected the family name along with some description of the location (Mata del Racó, Llopart de la Costa, Ràfols dels Caus, Martí de la Torrevella, etc. ), and they should by rights have been known as the Mirs of Vilarnau. Nevertheless, they became known as the Mirs of Can Guineu (the House of the Fox). Pere “the Fox” was succeeded by Pere Mir i Viladoms (1793-1853), who married Antònia Molins y Fatjó. He demolished the house that had been built in 1776, though he retained the entrance from the Carrer de l´Hospital, which led to the south wing of the covered patio that formed part of the grand house built on the site in 1851. He was succeeded by his son, Jaume Mir i Molins, who married Ana Cristina Capella i Sabadell and who was in turn succeeded by his own son, Marc Mir i Capella, who was born in Barcelona in 1851 and married Antònia Ràfols i Fontanals, from Avinyonet del Penedès. Marc Mir was to become the most renowned member of the family from both an intellectual and a social point of view. He became both mayor and member of parliament, he wrote about agricultural issues and was a driving force behind the replanting of the vineyards after they had been wiped out by phylloxera. He organised the first wine congress in Spain and hosted it at the Can Guineu Winery in 1898. On 1 June 1905 a monument to him was unveiled at the town hall commemorating his fight against phylloxera, with an inscription that read: “Els ciutadans a son Patrici – els pagesos a son mestre” (From the citizens to their nobleman, from the peasants to their master). The monument was demolished at the beginning of the Civil War. Marc Mir died of the flu on 29 December 1903, leaving eight children: Pere, Josep Mª, Pau, Jaquelina, Dolors, Antònia, Ernestina and Amèlia. Marc Mir played an important role in the history of Catalan agriculture, though he did not maintain the industrial businesses built up by of his predecessors. This becomes clear from the fact that he leased out the last paper mills, flour mills and distilleries that the Mirs had operated, putting an end to five centuries in which the family had acquired great estates, combining industrial businesses and trade with the Americas with their more traditional agricultural enterprises. As the 20th century approached, the agricultural world began to change, and with it society itself. Pere Mir i Ràfols (1878-1952) took control of the estate, living through the troubled times of the armed action by the rabassaires (vine-growers association) and the Spanish Civil War. He married Maria Vidal, daughter of the writer Eduard Vidal de Valenciano, and together they had three daughters: Ramona, Maria Teresa and Maria Antònia. Ramona Mir i Vidal married the poet from Ampurda, Carles Fages de Climent, Maria Teresa remained unmarried and Maria Antònia married Josep Rosell Casas, a doctor from Vilafranca del Penedès. Maria Teresa lived in the 19th century family house until her death in 2000, and with her ended the family name of the Mir of Vilarnau, subsequently the Mir of Can Guineu, which had been passed down from father to son over six centuries, a period in which the family had played a significant role in shaping the social and economic history of the town of Sant Sadurní. Mª Antónia Mir i Vidal had three sons: Eduard, Ramón and Josep Mª Rosell i Mir. Josep Mª continued the family tradition, producing wine at his mother’s estate. Today Pau is with his father growing the farm. 18 generations.